openSUSE Conference in Nuremberg, Germany October 20-23, 2010. We’ll gladly sponsor a member of the Ubuntu community council to go, busy finding out if anyone can make it. I can’t, but appreciate the sentiment and the action and think it would be great if members of the Ubuntu community can take up the invitation. Regardless, best wishes for the conference! Prompted in part by the critique of Canonical’s code contributions to the kernel and core GNOME infrastructure, I’ve been pondering whether or not I feel good about what I do every day, and how I do it. It’s important for me to feel that what I do is of service to others and makes the world a better place for it having been done. And in my case, that it’s a contribution commensurate with the good fortune I’ve had in life. Two notes defined for me what I feel I contribute, in this last month. One was a thank-you from New Zealand, from someone who is watching Ubuntu 10.04 make a real difference in their family’s life. For them it seems like a small miracle of human generosity that this entire, integrated, working environment exists and is cared for by thousands of people. The other was a support contract for tens of thousands of desktops running Ubuntu 10.04 in a company. Between those two, we have the twin pillars of the Ubuntu Project and Canonical: to bring all the extraordinary generosity of the free software community to the world at large, as a gift, free of charge, unencumbered and uncrippled, and to do so sustainably. The first story, from New Zealand, is about someone who is teaching their children to use computers from a young age, and who has observed how much more they get done with Ubuntu than with Windows, and how much more affordable it is to bring computing to all the kids in their community with Ubuntu. For them, the fact that Ubuntu brings them this whole world of free software in one neat package is extraordinary, a breakthrough, and something for which they are very grateful. It’s a story that I hope to see replicated a hundred million times. And it’s a story which brings credit and satisfaction not just to me, and not just to the people who make Ubuntu the focus of their love and energy, but to all of those who participate in free software at large. Ubuntu doesn’t deserve all the credit, it’s part of a big and complex ecosystem, but without it that delivery of free software just wouldn’t have the same reach and values. We all understand that the body of free software needs many organs, many cells, each of which has their own priorities and interests. The body can only exist thanks to all of them. We are one small part of the whole, it’s a privilege for us to take up the responsibilities that we do as a distribution. We have the responsibility of choosing a starting point for those who will begin their free software journey with Ubuntu, and we work hard to make sure that all of those pieces fit well together. Ubuntu, and the possibilities it creates, could not have come about without the extraordinary Linux community, which wouldn’t exist without the GNU community, and couldn’t have risen to prominence without the efforts of companies like IBM and Red Hat. And it would be a very different story if it weren’t for the Mozilla folks and Netscape before them, and GNOME and KDE, and Debian, and Google and everyone else who have exercised that stack in so many different ways, making it better along the way. There are tens of thousands of people who are not in any way shape or form associated with Ubuntu, who make this story real. Many of them have been working at it for more than a decade – it takes a long time to make an overnight success 🙂 while Ubuntu has only been on the scene six years. So Ubuntu cannot be credited solely for the delight of its users. The second email I can’t quote from, but it was essentially a contract for services from Canonical to help a company move more than 20,000 desktops from Windows to Ubuntu. There have been several engagements recently of a similar scale, the pace is accelerating as confidence in Ubuntu grows. While Linux has long proven itself a fine desktop for the inspired and self-motivated developer, there is a gap between that and the needs of large-scale organisations. There isn’t another company that I’m aware of which is definitively committed to the free software desktop, and so I’m very proud that Canonical is playing that role in the free software ecosystem. It would be sad for me if all the effort the free software community puts into desktop applications didn’t have a conduit to those users. There’s nothing proprietary or secret that goes into the desktops that Canonical supports inside large organisations. The true wonder for me is that the story from New Zealand, and the corporate story, both involve exactly the same code. That to me is the true promise of free software; when I have participated in open source projects myself, I’ve always been delighted that my work might serve my needs but then also be of use to as many other people as possible. Ubuntu is a small part of that huge ecosystem, but I feel proud that we have stepped up to tackle these challenges. Canonical takes a different approach to the other companies that work in Linux, not as an implicit criticism of the others, but simply because that’s the set of values we hold. Open source is strengthened by the fact that there are so many different companies pursuing so many different, important goals. In recent weeks it’s been suggested that Canonical’s efforts are self-directed and not of benefit to the broader open source community. That’s a stinging criticism because most of us feel completely the opposite, we’re motivated to do as much as we can to further the cause of free software to the benefit both of end-users and the community that makes it, and we’re convinced that building Ubuntu and working for Canonical are the best ways to achieve that end. It’s prompted a lot of discussion and consideration for each of us and for Canonical as a whole. And this post is a product of that consideration: a statement for myself of what I feel I contribute, and why I feel proud of the effort I put in every day. We fix it, too. Consider the https://wiki.ubuntu.com/PaperCut Papercuts project, born of the recognition that all the incredible technology and effort that goes into making something as complex as the Linux kernel is somehow diminished if the average user gets an incomprehensible result when they do something that should Just Work. Hundreds of Papercuts have been fixed, across many different applications, benefiting not just Ubuntu but also every other distribution that ships those applications. If you think that’s easy, consider the effort involved to triage and consider each of thousands of suggestions, coordinating a fix and the sharing of it. The tireless efforts of a large team have made an enormous difference. Consider this: saving millions of users one hour a week is a treasury of energy saved to do better things with free software. While the Canonical Design team played a leading role in setting up the Papercuts project, the real stars are people like http://www.omgubuntu.co.uk/2010/06/maverick-papercut-hunting-season-opens.html Vish and Sense who rally the broader papercuts team to make a difference. Every fix makes a difference, on the desktop http://ubuntuserver.wordpress.com/2010/01/20/ubuntu-server-papercuts-project/ and the server. At a more personal level, a key thing I put energy into is leadership, governance and community structure. When we started Ubuntu, I spent a lot of time looking at different communities that existed at the time, and how they managed the inevitable tensions and differences of opinion that arise when you have lots of sharp people collaborating. We conceived the idea of a code of conduct that would ensure that our passions for the technology or the work never overwhelmed the primary goal of bringing diverse people together to collaborate on a common platform. I’m delighted that the idea has spread to other projects: we don’t want to hoard ideas or designs or concepts, that would be contrary to our very purpose. We setup a simple structure: a technical board and a community council. That approach is now common in many other projects too. As Ubuntu has grown, so that governance has evolved, there are now multiple leadership teams for groups like Kubuntu and the Forums and IRC, who provide counsel and guidance for teams of LoCo’s and moderators and ops and developers, who in turn strive for technical perfection and social agility as part of an enormous global community. That’s amazing. When people start participating in Ubuntu they are usually motivated as much by the desire to be part of a wonderful community as they are to fix a specific problem or ease a specific burden. Over time, some of those folks find that they have a gift for helping others be more productive, resolving differences of opinion, doing the work to organise a group so that much more can be achieved than any one individual could hope to do. Ubuntu’s governance structures create opportunities for those folks to shine: they provide the backbone and structure which makes this community able to scale and stay productive and happy. A project like Ubuntu needs constant care in order to defend its values. When you are tiny and you put up a flag saying “this is what we care about” you tend to attract only people who care about those things. When the project grows into something potent and visible, though, you tend to attract EVERYONE, because people want to be where the action is. And then the values can easily be watered down. So I continue to put energy into working with the Ubuntu community council, and the Canonical community team, both of which are profoundly insightful and hard-working which makes that part of my work a real pleasure. The Ubuntu community council take their responsibility as custodian of the projects community values very seriously indeed. The CC is largely composed of people who are not affiliated with Canonical, but who nevertheless believe that the Ubuntu project is important to free software as a whole. And the awesome Jono Bacon, the delightful Daniel Holbach, and unflappable Jorge Castro are professionals who understand how to make communities productive and happy places to work. Something as big as the Ubuntu community cannot be to the credit of me or any other individual, but I’m proud of the role I’ve played, and motivated to continue to play a role as needed. In more recent years I’ve come to focus more on championing the role of design in free software. I believe that open source produces the best quality software over time, but I think we need a lot more cogent conversations about the experiences we want to create for our users, whether it’s on the desktop, the netbook or the server. So I’ve put a lot of my leadership energy into encouraging various communities – both Ubuntu and upstream – to be welcoming of those who see software through the eyes of the new user rather than the experienced hacker. This is a sea change in the values of open source, and is not something I can hope to achieve alone, but I’m nevertheless proud to be a champion of that approach and glad that it’s steadily becoming accepted. There were designers working in free software before we made this push. I hope they feel that Canonical’s emphasis on the design-lead approach has made their lives easier, and the community at large more appreciative of their efforts and receptive to their ideas. But still, if you *really* care about design in free software, the Canonical design team is the place to be. I do some design work myself, and have participated most heavily in the detailed design of Unity, the interface for Ubuntu Netbook Edition 10.10. That’s an evolution of the older UNR interface; most importantly, it’s a statement that Linux desktops don’t need to be stuck in the 90’s, we can and will attempt to build new and efficient ways of working with computers. I’ve been delighted with the speed at which some of Unity’s facilities have been adopted by hundreds of projects, their goal is to make using Linux easier and classier for everyone, so that pace of adoption is a measure of the speed at which we are reducing the friction for new users discovering a better way to use their PC’s. Design without implementation would leave us open to accusations of wanting others to do our work for us, so I’m proud also to lead a wonderful team that is doing the implementation of some of those key components. Things like dbusmenu have proven useful for bringing consistency to the interfaces of both GNOME and KDE applications running under Unity, and I very much hope they are adopted by other projects that need exactly the facilities they provide. I’d credit that engineering team with their focus on quality and testability and their desire to provide developers with clean API’s and good guidance on how best to use them. If you’ve used the full set of Indicators in 10.10 then you know how this quiet, persistent work that has engaged many different projects has transformed the panel into something crisp and efficient. Utouch is coming up for its first release, and will continue to evolve, so that Ubuntu and GNOME and KDE can have an easy road to multi-touch gesture interface goodness. Beyond my own personal time, I also support various projects through funding. Putting money into free software needs to meet a key test: could that money achieve a better outcome for more people if it were directed elsewhere? There are lots of ways to help people: $100,000 can put a lot of people through school, clothed and fed. So I really need to be confident that the money is having a real, measurable impact on people’s lives. The thank you notes I get every week for Ubuntu help sustain that confidence. More importantly, my own observation of the catalytic effect that Ubuntu has had on the broader open source ecosystem, in terms of new developers attracted, new platforms created, new businesses launched and new participants acknowledged, make me certain that the funding I provide is having a meaningful consequence. When Ubuntu was conceived, the Linux ecosystem was in a sense fully formed. We had a kernel. We had GNOME and KDE. We had X and libc and GCC and all the other familiar tools. Sure they had bugs and they had shortcomings and they had roadmaps to address them. But there was something missing: sometimes it got articulated as “marketing”, sometimes as “end-user focus”. I remember thinking “that’s what I could bring”. So Ubuntu, and Canonical, have quite explicitly NOT put effort into things which are obviously working quite well, instead, we’ve tried to focus on new ideas and new tools and new components. I see that as an invigorating contribution to the broader open source ecosystem, and I hear from many people that they perceive it the same way. Those who say “but Canonical doesn’t do X” may be right, but that misses all the things we do, which weren’t on the map beforehand. Of course, there’s little that we do exclusively, and little that we do that others couldn’t if they made that their mission, but I think the passion of the Ubuntu community, and the enthusiasm of its users, reflects the fact that there is something definitively new and distinctive about the project. That’s something to celebrate, something to be proud of, and something to motivate us to continue. Free software is bigger than any one project. It’s bigger than the Linux kernel, it’s bigger than GNU, it’s bigger than GNOME and KDE, it’s bigger than Ubuntu and Fedora and Debian. Each of those projects plays a role, but it is the whole which is really changing the world. So when we start to argue with one another from the perspective of any one slice of free software, we run the risk of missing the bigger picture. That’s a bit like an auto-immune disease, where the body starts to attack itself. By definition, someone else who is working hard all day long to bring free software to a wider audience is on the same side as me, compared to 99% of the rest of the world, if I want to think in terms of sides. I admire and respect everyone who puts energy into advancing the cause of free software, even if occasionally I might differ on the detail of how it can be done. Meta-cycles: 2-3 year major cycles for free software? The practice of regular releases, and now time-based releases, is becoming widespread within the free software community. From the kernel, to GNOME and KDE, to X, and distributions like Ubuntu, Fedora, the idea of a regular, predictable cycle is now better understood and widely embraced. Many smarter folks than me have articulated the benefits of such a cadence: energising the whole community, REALLY releasing early and often, shaking out good and bad code, rapid course correction. There has been some experimentation with different cycles. I’m involved in projects that have 1 month, 3 month and 6 month cycles, for different reasons. They all work well. It’s hard to know what to support for how long, you obviously can’t support every release indefinitely. I think there is growing insight into this, on both sides of the original “cadence” debate. A few years back, at AKademy in Glasgow, I was in the middle of a great discussion about six month cycles. I was a passionate advocate of the six month cycle, and interested in the arguments against it. The strongest one was the challenge of making “big bold moves”. “You just can’t do some things in six months” was the common refrain. “You need to be able to take a longer view, and you need a plan for the big change.” There was a lot of criticism of GNOME for having “stagnated” due to the inability to make tough choices inside a six month cycle (and with perpetual backward compatibility guarantees). Such discussions often become ideological, with folks on one side saying “you can evolve anything incrementally” and others saying “you need to make a clean break”. On the other side of the fence, GNOME is now more aware of the limitations of indefinite regular releases. I’m very excited by the zest and spirit with which the “user experience MATTERS” campaign is being taken up in Gnome, there’s a real desire to deliver breakthrough changes. This kicked off at the excellent Gnome usability summit last year, which I enjoyed and which quite a few of the Canonical usability and design folks participated in, and the fruits of that are shaping up in things like the new Activities shell. But it’s become clear that a change like this represents a definitive break with the past, and might take more than a single six month release to achieve. And most important of all, that this is an opportunity to make other, significant, distinctive changes. A break with the past. A big bold move. And so there’s been a series of conversations about how to “do a 3.0”, in effect, how to break with the tradition of incremental change, in order to make this vision possible. Rapid, predictable releases are super for keeping energy high and code evolving cleanly and efficiently, they keep people out of a deathmarch scenario, they tighten things up and they allow for a shakeout of good and bad ideas in a coordinated, managed fashion. Big releases are energising too. They are motivational, they make people feel like it’s possible to change anything, they release a lot of creative energy and generate a lot of healthy discussion. But they can be a bit messy, things can break on the way, and that’s a healthy thing. Anecdotally, there are other interesting stories that feed into this. Recently, the Python community decided that Python 3.0 will be a shorter cycle than the usual Python release. The 3.0 release is serving to shake out the ideas and code for 3.x, but it won’t be heavily adopted itself so it doesn’t really make sense to put a lot of effort into maintaining it – get it out there, have a short cycle, and then invest in quality for the next cycle because 3.x will be much more heavily used than 3.0. This reminds me a lot of KDE 4.0. So, I’m interesting in gathering opinions, challenges, ideas, commitments, hypotheses etc about the idea of meta-cycles and how we could organise ourselves to make the most of this. I suspect that we can define a best practice, which includes regular releases for continuous improvement on a predictable schedule, and ALSO defines a good practice for how MAJOR releases fit into that cadence, in a well structured and manageable fashion. I think we can draw on the experiences in both GNOME and KDE, and other projects, to shape that thinking. The major distributions tend to have big releases, as well as more frequent releases. RHEL has Fedora, Ubuntu makes LTS releases, Debian takes cadence to its logical continuous integration extreme with Sid and Testing :-). When we did Ubuntu 6.06 LTS we said we’d do another LTS in “2 to 3 years”. When we did 8.04 LTS we said that the benefits of predictability for LTS’s are such that it would be good to say in advance when the next LTS would be. I said I would like that to be 10.04 LTS, a major cycle of 2 years, unless the opportunity came up to coordinate major releases with one or two other major distributions – Debian, Suse or Red Hat. I’ve spoken with folks at Novell, and it doesn’t look like there’s an opportunity to coordinate for the moment. In conversations with Steve McIntyre, the current Debian Project Leader, we’ve identified an interesting opportunity to collaborate. Debian is aiming for an 18 month cycle, which would put their next release around October 2010, which would be the same time as the Ubuntu 10.10 release. Potentially, then, we could defer the Ubuntu LTS till 10.10, coordinating and collaborating with the Debian project for a release with very similar choices of core infrastructure. That would make sharing patches a lot easier, a benefit both ways. Since there will be a lot of folks from Ubuntu at Debconf, and hopefully a number of Debian developers at UDS in Barcelona in May, we will have good opportunities to examine this opportunity in detail. If there is goodwill, excitement and broad commitment to such an idea from Debian, I would be willing to promote the idea of deferring the LTS from 10.04 to 10.10 LTS. So, what would the “best practices” of a meta-cycle be? What sorts of things should be considered in planning for these meta-cycles? What problems do they cause, and how are those best addressed? How do short term (3 month, 6 month) cycles fit into a broader meta-cycle? Asking these questions across multiple communities will help test the ideas and generate better ones. What’s a good name for such a meta-cycle? Meta-cycle seems…. very meta. Is it true that the “first release of the major cycle” (KDE 4.0, Python 3.0) is best done as a short cycle that does not get long term attention? Are there counter-examples, or better examples, of this? Which release in the major cycle is best for long term support? Is it the last of the releases before major new changes begin (Python 2.6? GNOME 2.28?) 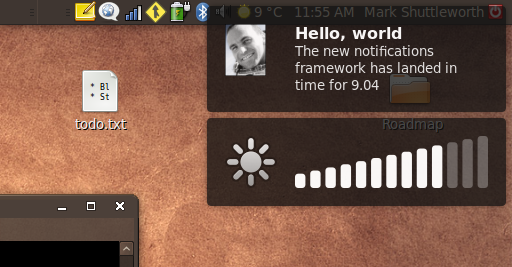 or is it the result of a couple of quick iterations on the X.0 release (KDE 4.2? GNOME 3.2?) Does it matter? I do believe that it’s worthwhile for upstreams to support an occasional release for a longer time than usual, because that’s what large organisations want. Is a whole-year cycle beneficial? For example, is 2.5 years a good idea? Personally, I think not. I think conferences and holidays tend to happen at the same time of the year every year and it’s much, much easier to think in terms of whole number of year cycles. But in informal conversations about this, some people have said 18 months, others have said 30 months (2.5 years) might suit them. I think they’re craaaazy, what do you think? If it’s 2 years or 3 years, which is better for you? Hardware guys tend to say “2 years!” to get the benefit of new hardware, sooner. Software guys say “3 years!” so that they have less change to deal with. Personally, I am in the 2 years camp, but I think it’s more important to be aligned with the pulse of the community, and if GNOME / KDE / Kernel wanted 3 years, I’d be happy to go with it. How do the meta-cycles of different projects come together? Does it make sense to have low-level, hardware-related things on a different cycle to high-level, user visible things? Or does it make more sense to have a rhythm of life that’s shared from the top to the bottom of the stack? Would it make more sense to stagger long term releases based on how they depend on one another, like GCC then X then OpenOffice? Or would it make more sense to have them all follow the same meta-cycle, so that we get big breakage across the stack at times, and big stability across the stack at others? Are any projects out there already doing this? Is there any established theory or practice for this? If you’ve read this far, thank you! Please do comment, and if you are interested then please do take up these questions in the communities that you care about, and bring the results of those discussions back here as comments. I’m pretty sure that we can take the art of software to a whole new level if we take advantage of the fact that we are NOT proprietary, and this is one of the key ways we can do it. Thanks to the concerted efforts of Martin Pitt, Sebastien Bacher and several others, notify-osd and several related components landed in Jaunty last week. Thanks very much to all involved! And thanks to David Barth, Mirco Muller and Ted Gould who lead the development of notify-osd and the related messaging indicator. MPT has posted an overview of the conceptual framework for “attention management” at https://wiki.ubuntu.com/NotificationDesignGuidelines, which puts ephemeral notification into context as just one of several distinct tools that applications can use when they don’t have the focus but need to make users aware of something. That’s a draft, and when it’s at 1.0 we’ll move it to a new site which will host design patterns on Canonical.com. There is also a detailed specification for our implementation of the notification display agent, notify-osd, which can be found at https://wiki.ubuntu.com/NotifyOSD and which defines not only the expected behaviour of notify-osd but also all of the consequential updates we need to make across the packages in main an universe to ensure that those applications use notification and other techniques consistently. There are at least 35 apps that need tweaking, and there may well be others! If you find an app that isn’t using notifications elegantly, please add it to the notification design guidelines page, and if you file a bug on the package, please tag it “notifications” so we can track these issues in a single consistent way. There will be rough patches. Apps which don’t comply with the FreeDesktop.org spec and send actions on notifications even when the display agent says it does not support them, will have their notifications translated into alerts. That’s the primary focus of the effort now, the find and fix those apps. Also, we know there are several cases where a persistent response framework is required. The messaging indicator gets most of them, we will have additional persistent tools in place for Karmic in October.